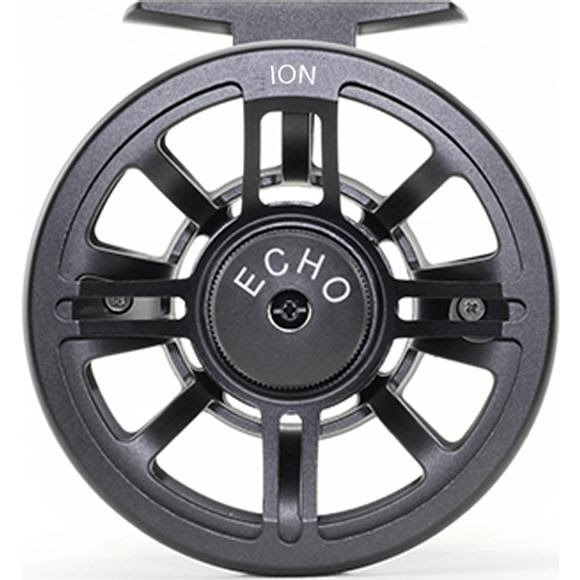 The Echo Ion Fly Reel 2/3 is one of the best reels in the sub $100 category. It's made from what Echo calls a "hybrid" design, cast in aluminum and then machined to provide the benefits of a machined bar stock reel without the high price associated with a "fully" machined reel. The Echo Ion Fly Reel 2/3 is one of the best reels in the sub $100 category. It&apos;s made from what Echo calls a "hybrid" design, cast in aluminum and then machined to provide the benefits of a machined bar stock reel without the high price associated with a "fully" machined reel. All Ion reels are coated with an impact-resistant, matte black finish to provide the best-looking, longest-lasting finish. ECHO Ion reels have stainless steel internal components and are primarily designed for fresh water use. They are not designed for, but can handle some exposure to salt providing extra care is taken to clean and lubricate them after each day on the water. At this price, this reel is a "no brainer".